Jamboree selects 05 students from FET & MRCE 2018 batch. Red Carpet selects 34 students from FET & MRCE 2018 batch. Paharpur business Centre selects 01 student from MRCE 2018 batch. Webbee esolutions (P) Ltd.selects 01 student from MRCE 2018 batch. British Telecom selects 03 students from FCA & FCBS 2018 batch. Quovantis Technologies selects 01 student from FET 2018 batch. Optimus selects 05 students from FET & MRCE 2018 batch. Cinda Engineering selects 01 student from FET 2018 batch. List India Pvt. Ltd selects 03 students from MRCE 2018 batch. Expert Lancing selects 03 students from FET & MRCE 2018 batch. Smartbox selects 02 students from MRCE 2018 batch. I Augmentor select 04 students from FET & MRCE 2018 batch. NIIT Technologies select 13 students from FET & MRCE 2018 batch. Amazon selects 83 students from FET, MRCE, FCA & FCBS 2018 batch. 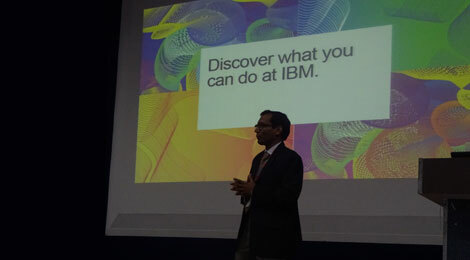 IBM selects 08 BTech (CSE & IT), FET & MRCE 2018 batch student. Ajay Kumar Associates selects 01 MBA, FMS, 2017 batch student. Cubical Labs selects 01 B.Tech (CSE), MRCE, 2017 batch student. Espire Infolabs selects 02 B.Tech (CSE), MRCE, 2017 batch students. New Age Instruments & Materials Pvt. Ltd. Selects 02 B.Tech (ECE), MRCE 2017 batch students. Navisite selects 03 B.Tech (ECE, CS & IT), FET & MRCE, 2017 batch students. Doon Consulting selects 01 B.Tech (ECE), MRCE 2017 batch student. AdGlobal 360 selects 01 MJMC, FMeH 2017 batch student. Aktivortho selects 02 MPT, FAS, 2017 batch students. App street selects 01 B.Tech (ECE), MRCE, 2017 batch student. Click Software selects 01 B.Tech (CSE), MRCE, 2017 batch Student. Meritnation selects 04 B.Tech (ME ) 2017 batch students from MRCE. Effectual Services selects one ECE 2017 Batch student from FET. Printland.In selects one MBA 2017 Batch student from FMS. 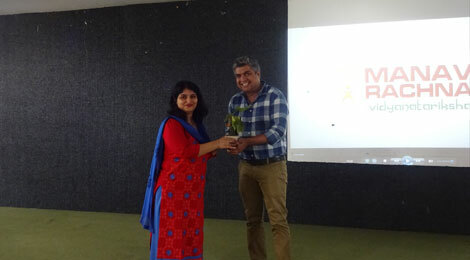 Career Genesis selects one MBA 2016 Batch student from MRCE. Robot Component selects one B.Tech (MECH) 2016 Batch student from FET. Zep Infratech Ltd selects one B.Tech (MECH) 2016 Batch student from FET. Mando Softtech selects one B.Tech (CSE) 2016 Batch student from MRCE. Millennium selects one B.Tech (CS) 2016 Batch student from FET. Newgen selects one B.Tech (CSE) 2016 Batch student from MRCE. Cinda Engineering selects one B.Tech (MECH) 2016 Batch student from MRCE. Sterling Tools selects two B.Tech (MECH) 2016 Batch students from FET & MRCE. Yamaha Motor selects two B.Tech (CSE) 2016 Batch students from FET & MRCE. Cvent selects five B.Tech (CS/IT/ECE) 2016 Batch students from FET & MRCE. Blended HR selects five MBA 2016 Batch students from FMS. InterGlobe Aviation Limited selects one B.Tech (MECH) 2016 student from FET. Damco Solutions selects four B.Tech (CS/IT) 2016 Batch students from FET & MRCE. IndusInd Bank selects one MBA 2016 Batch student from FMS. PNB Housing Finance selects two B.Tech (CIV) 2016 Batch students from FET. Bluejack selects two B.Tech (AUTO) 2016 Batch students from FET. Max Healthcare selects one BBA (G) IB 2016 Batch student from FCBS. J Mitra selects one MSc (BT) 2016 Batch student from FET. InterGlobe Technology selects four B.Com (Hons) & two BBA (Banking) 2016 Batch students from FCBS. Naukri.Com selects one MBA 2016 Batch student from FMS. Capgemini selects three B.Tech (CSE) 2016 Batch students from FET. Leeway Hertz selects one B.Tech (IT) 2016 Batch student from MRCE. In-campus recruitment drive by InterGlobe Technology for BBA, B.Com & MBA (HR) 2016 Batch students of FCBS, FMS & MRCE on 11 Apr 16. Off-campus recruitment drive by Nestkeys for MBA 2016 Batch students of FMS & MRCE on 11 Apr 16. Off-campus recruitment drive by Naukri.Com for MBA 2016 Batch students of FMS & MRCE on 12 Apr 16. Grofers selects three B.Com, two BBA (Gen/Banking) & one MBA 2016 Batch students from FCBS & FMS. Rothenberger selects four B.Tech (MECH/CIV/ECE) 2016 Batch students from FET & MRCE. Krishna Maruti selects six B.Tech (MECH) 2016 Batch students from FET. Raag Innovations selects three B.Tech (MECH/ECE) 2016 Batch students from FET & MRCE. In-campus recruitment drive by Rothenberger for B.Tech (CIV/MECH/EEE) & MBA (Marketing)2016 Batch students of FMS, MRCE & FET on 29 Mar 16. In-campus recruitment drive by Grofers for BBA, B.Com & MBA 2016 Batch students of FMS, MRCE & FCBS on 30 Mar 16. Off-campus recruitment drive by Indigo for MBA 2016 Batch students of FMS & MRCE on 30 & 31 Mar 16. B.Com (H) – nine students, BBA (Gen/Banking/IB) – four students , BSc (IT) -three students & BCA – two students. HP selects one B.Tech (CSE) 2016 Batch student from MRCE. Hitech Gears Ltd selects one B.Tech (Mech) 2016 Batch student from FET. TBI Online selects two BJMC 2016 Batch students from FMeH. Hindustan Wellness selects two M.Sc (N&D) & one B.Sc (N&D) 2016 Batch students from FAS. Arvato selects five B.Tech (CS/IT/ECE) & five BBA (Gen/Banking) 2016 Batch students from FET, MRCE & FCBS. Wealthmax Financials selects two MBA 2016 Batch students from FMS. 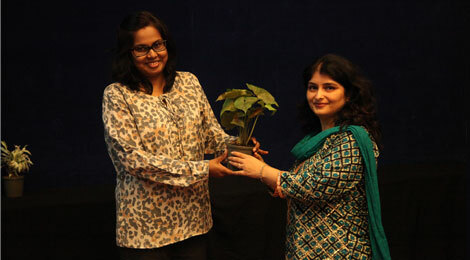 Stryker selects two MBA 2016 Batch students from FMS. VoiceTree selects three BBA (Banking/General) 2016 Batch students from FCBS. Inyxa selects two B.Tech (CSE) 2016 Batch students from FET & MRCE. Federal Mogul selects five B.Tech (Mech) 2016 Batch students from FET & MRCE. Connexun selects two B.Tech (CSE) 2016 Batch students from FET. Mahindra Comviva selects one BCA 2016 Batch student from FCA. Apollo Tubes selects two MBA 2016 Batch students from MRCE. Hotel Delite Grand selects seven BSc (HM) 2016 Batch students from FMS. Gemalto, an international digital security company providing software applications, secure personal devices conducted placement drive for the B.Tech (CS/IT) & MCA students of Manav Rachna Campus offering a package of Rs 4.15 LPA. Four students were finally selected in this company. 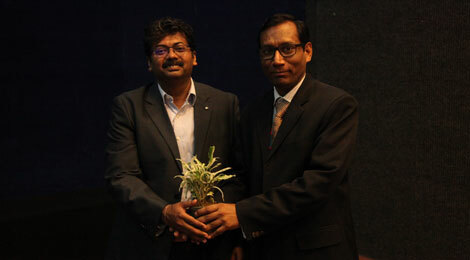 MRCE: KAMALDEEP VERMA (CSE), VAIBHAV SHARMA (CSE). 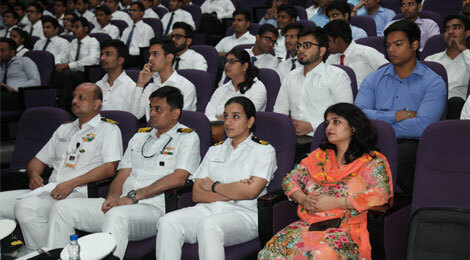 Congratulations to the successful students on their stellar performance and wishing them great career ahead! IndusInd Bank selects four MBA 2016 Batch students from FMS. Innodata selects one BDS 2016 Batch student from MRDC. 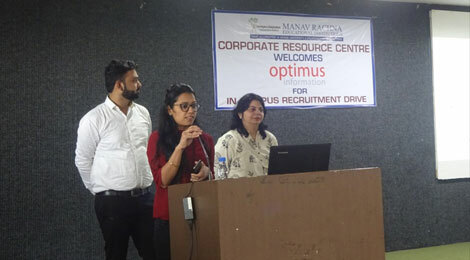 Oxyent, a technology company specializing in software services, product and technology innovation conducted placement drive for the B.Tech (CS/IT) students of Manav Rachna Campus offering a package of Rs 4.2 LPA. Three students were finally selected in this company. 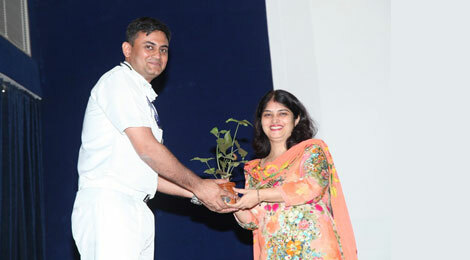 MRCE : ARPIT GOYAL (CSE), LEENA SAHOO (IT). Su-Kam, the industry leader and India’s largest power solutions company conducted placement drive for the MBA students of Manav Rachna Campus offering a package of Rs 5.0 – 8.0 LPA. Total 13 students were finally selected in this prestigious company. 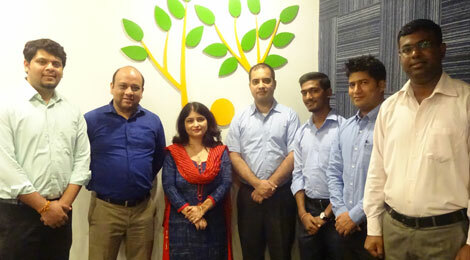 FMS: Marketing (6.0-8.0 LPA) 05 students : AMIT SHARMA, PALLAVI, LAXMAN KHANDELWAL, NIDHI BHATIA, JOT SWAROOP SINGH. MRCE: HR (5.0-6.0 LPA) 03 students : DIPALI GUPTA, SHIVANI BAREJA, SHYNI SAHA. Marketing (6.0-8.0 LPA) 05 students : KAPIL KUMAR, LAKHAN GAUBA, RITIKA BARRY, SHEEBA MARWAHA, SHIVANG GUPTA. Truechip selects two MBA 2016 Batch students from FMS & MRCE. Wipro Technologies selects five BCA 2016 Batch students from FCA. EXL Services selects two B.Tech (CSE) 2016 Batch students from FET. Su-Kam selects 13 MBA (HR & Marketing) 2016 Batch students from FMS & MRCE. Sunlife Financial selects 10 B.Tech (CSE/IT) & MCA 2016 Batch students from MRCE & FCA. Pyverse selects 10 B.Tech (CSE/ECE/BT/MECH) 2016 Batch students from FET & MRCE. ICS selects two MCA 2016 Batch students from FCA. Printland.in selects five MBA 2016 Batch students from FMS & MRCE. Ericsson selects 21 B.Tech (CSE/IT/ECE) 2016 Batch students from FET. Oodles Technologies selects one B.Tech (CS) 2015 Batch student from FET. Image Consulting selects one MBA 2015 Batch student from MRCE. Truechip selects one MBA 2015 Batch student from FMS. New Parameter selects two MBA 2015 Batch students from MRCE. In-campus recruitment drive by ICICI Securities for MBA 2015 Batch students of FMS & MRCE on 18 Feb 15. In-campus recruitment drive by HCL Technologies for B.Tech (CS/IT/ECE/EEE) & MCA 2015 Batch students of FET, MRCE & FCA on 18 & 19 Feb 15. In-campus recruitment drive by Naukri.Com for MBA 2015 Batch students of FMS & MRCE on 19 Feb 15. In-campus recruitment drive by Innodata for BDS, MDS, BPT & MPT 2015 Batch students of FAS & MRDC on 20 Feb 15. In-campus recruitment drive by Image Consulting Group for MBA (Marketing) 2015 Batch students of FMS & MRCE on 09 Feb 15. Pool-campus recruitment drive by SkilRock Technologies at MRIU for B.Tech (CS/IT) 2015 Batch students of FET & MRCE on 06 Feb 15. In-campus recruitment drive by ACG Infotech for B.Tech (CS/IT), MCA & MBA (HR) 2015 Batch students of FET, MRCE & FMS on 09 Feb 15. In-campus recruitment drive by Truechip for MBA 2015 Batch students of FMS & MRCE on 03 Feb 15. Pool-campus recruitment drive by Damco Solutions for B.Tech (CS/IT/ECE), MCA & MBA (Marketing & HR) 2015 Batch students of FET, MRCE, FCA & FMS on 29 & 30 Jan 15. In-campus recruitment drive by Trivium for B.Tech/M.Tech (All Branches) & MCA 2015 Batch students of FET, MRCE & FCA on 28 Jan 15. In-campus recruitment drive by Oodles Technologies for B.Tech (CS/IT/ECE) & MCA 2015 Batch students of FET, MRCE & FCA on 22 Jan 15. In-campus recruitment drive by Recruitment Cell for MBA 2015 Batch students of FMS & MRCE on 23 Jan 15. Pool-campus recruitment drive by NEC Technologies for B.Tech (CS/IT), M.Tech (CS/IT) & MCA 2015 Batch students of FET, MRCE & FCA on 23 Jan 15. Off-campus recruitment drive by ILD for MBA 2016 Batch students of FMS & MRCE on 20 Jul 16. Off-campus recruitment drive by Fitness First for BSc, MSc (N&D), BPT & MPT 2016 Batch students of FAS on 25 Jun 16. Off-campus recruitment drive by Innovaccer for B.Tech (All Branches) 2016 Batch students of FET & MRCE on 28 Jun 16. Off-campus recruitment drive by InterGlobe Aviation Limited for B.Tech (MECH & AERO) 2016 Batch students of FET & MRCE on 18 May 16. In-campus recruitment drive by Cvent for B.Tech (All Branches), BCA, BSc (IT) & MCA 2016 Batch students of FET, MRCE & FCA on 19 May 16. In-campus recruitment drive by Bluejack for B.Tech (AUTO) 2016 Batch students of FET on 20 Apr 16. In-campus recruitment drive by Indiabulls for MBA 2016 Batch students of FMS & MRCE on 08 Apr 16. Pool-campus recruitment drive by Tech Mahindra at MRIU for BBA, B.Com, BCA & BSc 2016 Batch students of FCA & FCBS on 17 Mar 16. In-campus recruitment drive by Raag Innovations for B.Tech (CS/IT/ECE/MECH) 2016 Batch students of FET & MRCE on 18 Mar 16. In-campus recruitment drive by Arvato for B.Tech (CS/IT/ECE) & BBA 2016 Batch students of FET, MRCE & FCBS on 25 Feb 16. Off-campus recruitment drive by American Express for MBA 2016 Batch students of FMS & MRCE on 25 Feb 16. In-campus recruitment drive by TBI Online for B.Tech (CS/IT/ECE), MBA & BJMC 2016 Batch students of FET, MRCE, FMS & FMeH on 26 Feb 16. In-campus recruitment drive by Krishna Maruti for B.Tech (MECH/AUTO) 2016 Batch students of FET & MRCE on 15 Feb 16. In-campus recruitment drive by Urban Clap for MBA 2016 Batch students of FMS & MRCE on 09 Feb 16. Pool-campus recruitment drive by Damco Solutions at MRIU for B.Tech (CS/IT/ECE), MCA & MBA (Marketing/IT/HR) 2016 Batch students of FET, MRCE, FCA & FMS on 09 & 10 Feb 16. Off-campus recruitment drive by Enuke Software for B.Tech (CS/IT/ECE) & MCA 2016 Batch students of FET, MRCE & FCA on 11 Feb 16. Off-campus recruitment drive by Wealthmax Financials for MBA 2016 Batch students of FMS & MRCE on 04 Feb 16. Off-campus recruitment drive by 99 acres.com for MBA (Marketing) 2016 Batch students of FMS & MRCE on 05 Feb 16. In-campus recruitment drive by Stryker for MBA 2016 Batch students of FMS & MRCE on 30 Jan 16. Off-campus recruitment drive by KMG Infotech for M.Tech/B.Tech (CS/IT) & MCA 2016 Batch students of FET, MRCE & FCA on 01 Feb 16. In-campus recruitment drive by Connexun for B.Tech/M.Tech (CS/IT/ECE) 2016 Batch students of FET & MRCE on 21 Jan 16. In-campus recruitment drive by Federal Mogul Goetze for B.Tech (MECH/AUTO) 2016 Batch students of FET & MRCE on 22 Jan 16. In-campus recruitment drive by Trauson (Stryker Group) for B.Tech/M.Tech/MSC (BT) & MBA 2016 Batch students of FET, MRCE & FMS on 15 Jan 16. In-campus recruitment drive by British Telecom for BBA & B.Com 2016 Batch students of FCBS on 18 Jan 16. In-campus recruitment drive by Hi-Tech Gears Ltd for B.Tech (MECH) 2016 Batch students of FET & MRCE on 23 Dec 15. In-campus recruitment drive by Apollo Tubes for MBA 2016 Batch students of FMS & MRCE on 04 Dec 15. Off-campus recruitment drive by Wipro Technologies for MCA 2016 Batch students of FCA on 01 Dec 15. Off-campus recruitment drive by Innodata for BDS 2016 Batch students of MRDC on 02 Dec 15. In-campus recruitment drive by Supertech for MBA 2016 Batch students of FMS & MRCE on 03 Dec 15. In-campus recruitment drive by Sunlife Financial MCA 2016 Batch students of FCA on 27 Oct 15. In-campus recruitment drive by Ericsson for B.Tech (CSE /IT / ECE/ EEE) 2016 Batch students of FET on 15 & 16 Oct 15. In-campus recruitment drive by Cinda Engineering & Construction Pvt Ltd for B.Tech (CIVIL/EEE/MECH) 2016 Batch students of FET on 12 Oct 15. In-campus recruitment drive by TCS for M.Tech & B.Tech (CSE/IT/ECE/ MECH/ EEE/AUTO/AERO) 2016 Batch students of FET on 27 & 28 Sept 15. Off-campus recruitment drive by Koenig Solutions for B.Tech (CS/IT) & MCA 2015 Batch students of FET & FCA on 12 Aug 15. In-campus recruitment drive by Akosha for B.Tech (All Streams) & MBA 2015 Batch students of FET & FMS on 29 June 15. In-campus recruitment drive by Truechip for B.Tech/M.Tech (ECE) 2015 Batch students of FET on 01 & 02 July 15. Off-campus recruitment drive by Institute of Road Traffic Education for B.Tech (AUTO/MECH) 2015 Batch students of FET on 25 June 15. Off-campus recruitment drive by Crown IT for MBA 2015 Batch students of FMS on 25 June 15. Off-campus recruitment drive by Vodafone for MBA (Marketing) 2015 Batch students of FMS on 23 June 15. In-campus recruitment drive by Lenskart for MBA 2015 Batch students of FMS on 02 June 15.